...which got me thinking. 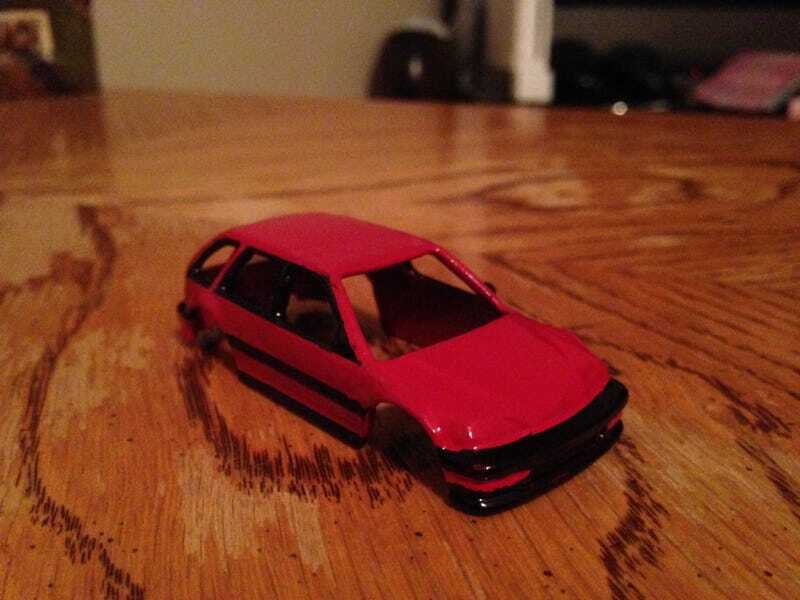 I’m working on my Civic EF->Civic Wagon conversion (sorry for the not well lit iPhone pic) when she asked “Why don’t you make replicas of all the cars you’ve owned?” Well aside from the fact that no one ever made a ‘95 Saturn SW2, or street spec ‘95 Monte Carlo or ‘01 Grand Prix, it’s always been a goal of mine to own diecasts of my cars. I’ve been eyeballing eBay for an ‘04 GTO and for a Monster Jam classics King Krunch I could steal the long bed body from. But anyway, enough talking about me. How about you guys? Do any of you have replicas of cars you own/have owned? Have you customized them to closer represent what you actually have? Care to share pics of them?